Teaching online can be intimidating enough. After all, teaching itself is a complex and high-value endeavor, particularly with a diverse population of learners. Designing and integrating experiential learning with theory-informed techniques and modern technologies would be that much more challenging. Instead of focusing on the challenges, Stephanie Smith Budhai and Ke’Anna Skipwith provide a light summary of the theories, describe some basic techniques, provide links to some online resources, and leave it to their readers to do the heavier lifting: the research, the actual designs, and other aspects related to learning design and implementation. Their book, “Best Practices in Engaging Online Learners through Active and Experiential Learning Strategies” (2017), has the heft of a pamphlet at 100 pp. and is an easy and helpful read. Based on work by John Dewey (hands-on experiential learning), Benjamin Bloom (Bloom’s Taxonomy) David Kolb (experiential learning theory), and others, the co-authors assert the importance of connecting learners to real-world workplaces and in-world learning, where learners may experience learning directly. Disembodied learning in virtual spaces benefit from resources in the real world. They note that learning by doing helps anchor knowledge and skills in ways that reading or watching videos cannot begin to make real. Study abroad” (Budhai & Skipwith, 2017, pp. 14 – 17). The in-world learning can bring out different skill sets. 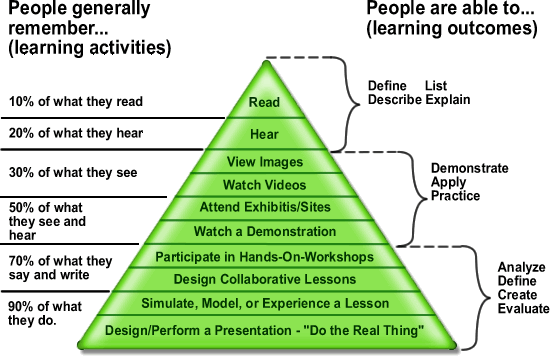 Some areas where learners may benefit? The authors suggest the following: the making of “real-world connections,” hands-on experiences, “practice at professionalism,” “social interactions,” and “civic contribution” (pp. 18 – 19). The book includes a list of some professional and other organizations which may have information about learner opportunities in the field (pp. 32 – 33). 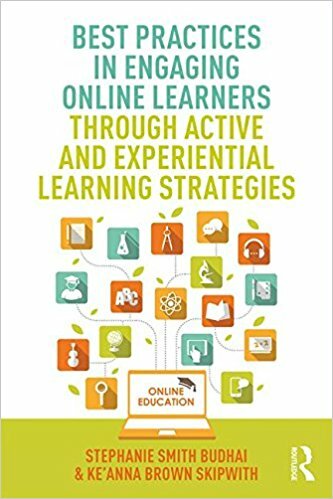 Those who study online should not be positioned to be passive information consumers but rather empowered and “active participants of their learning” (p. 11). Since online learning started in earnest in U.S. higher education in the mid-to-late 1990s, there has long been a focus on so-called “high-tech high-touch” approaches—or online learning that considers the social needs of learners and the learning benefits of sociality. To these ends, learners and instructors benefit from techniques and tools that enable them to have a social presence (ways to express themselves and their personhood and identity online). Further, it helps to provide opportunities for “frequent high-quality interactions between learners and instructors” (p. 1) and co-learners among themselves. “One limitation to using the scenario-based approach is that it involves a huge amount of time from both the teacher and designer. The teacher must be very intentional about the content and provide narrative feedback at every level to scaffold the learning” (p. 42). No matter what the approaches, having proper assessments that support the learning and the learner motivation are critical. Using a discussion board? How should the learner postings be assessed? The co-authors offer some helpful starting ideas (pp. 74 – 75). The online learning space has to be designed so that learners enjoy the learning experience and choose to be present and to engage. The learning environment has to be sufficiently safe (“non-hostile”), so learners can reflect on their learning and share their learning with each other. Modern online learners also come from “participatory cultures,” which focuses on the creation and contributory sharing of digital information and artifacts (p. 10). Designing to these expectations may better promote online learning. For example, to encourage learner reflection about the learning through online journaling, they suggest maybe using video blogs or vlogs. They propose the uses of digital photography to document in-world learning experiences. They point to social media resources (virtual worlds for identity exploration and role plays through digital avatars, for example) to enable enhanced social connectivity and sharing for online learning (pp. 50 and 58). Gamification may be harnessed to increase learner motivations to learn, and learners may benefit from feedback from games (Budhai & Skipwith, 2017, p. 53). They write: “Games are great tools for learning content because they create authentic opportunities for 21st-century learners to build on previous knowledge and develop in-depth knowledge and skills” (p. 56). 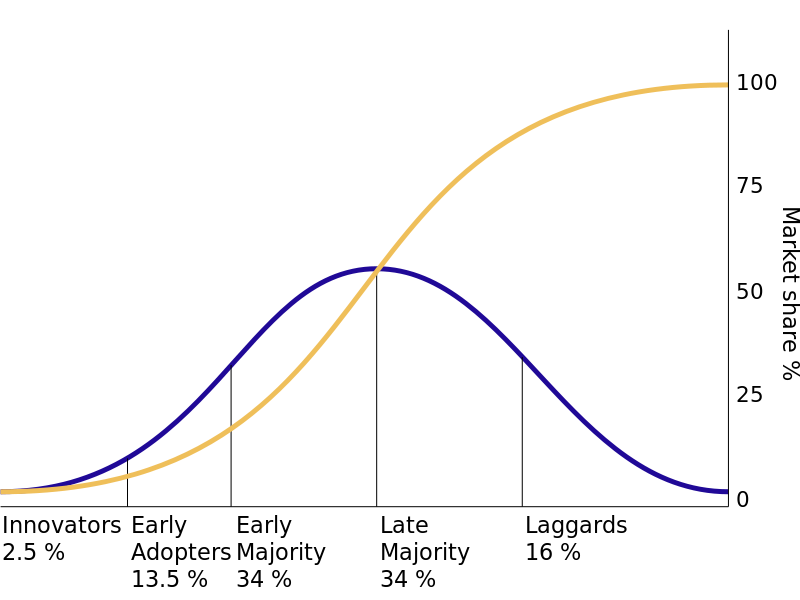 Ideally, unique learners needs may be met through adaptive systems that enable customization of the learning, with “free movement” enabled for learners based on their capabilities (Vygotsky, 1979, as cited in Budhai & Skipwith, 2017, p. 49). Online learning has been around for decades now, and “Best Practices in Engaging Online Learners…” reads a little like it is targeted to those in the “late majority” and the “laggards” in terms of adopting online learning. By now, much of the new ground has been broken by early movers—both instructors and researchers. For those “innovators,” “early adopters,” and “early majority” individuals in online teaching and learning, this book may feel a little basic. It may also feel a little too simple because the actual work of designing engagement in online learning may be more difficult than this book might suggest. If quibbles are allowed, there is sometimes a sense that the co-authors are summarizing research and not offering enough of their own insights. Occasionally, the descriptions of the available technologies are not fully accurate, such as the description of Qualtrics as “a learning analytics tool” (pp. 88 – 89), and others. This book can be speed-read, and there are some useful ideas to glean, but this is not a go-to text on the topic. If readers are inspired and use this as a starter text…to start experimenting with online teaching and learning possibilities, that would be a net positive. This book is about initial directions and possible paths; after the first steps, instructors are expected to do the hard work of research, design, development, and online teaching. Discussion of "Book Review: “Starter” Strategies for Engaging Online Learners"
Version 6 id 1545180 of this page, updated 10 January 2018 by Shalin Hai-Jew. Created by Shalin Hai-Jew.